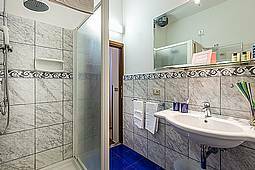 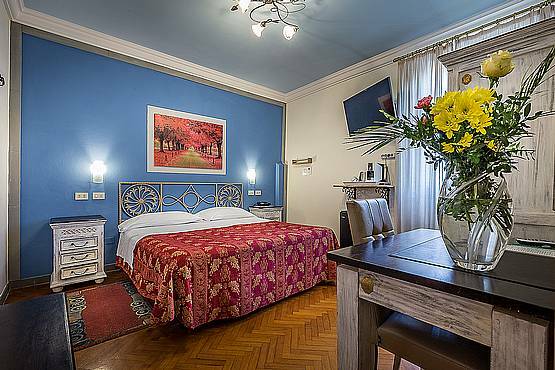 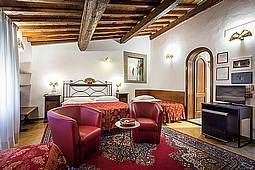 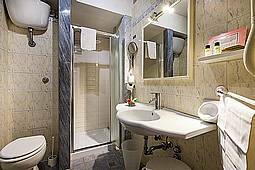 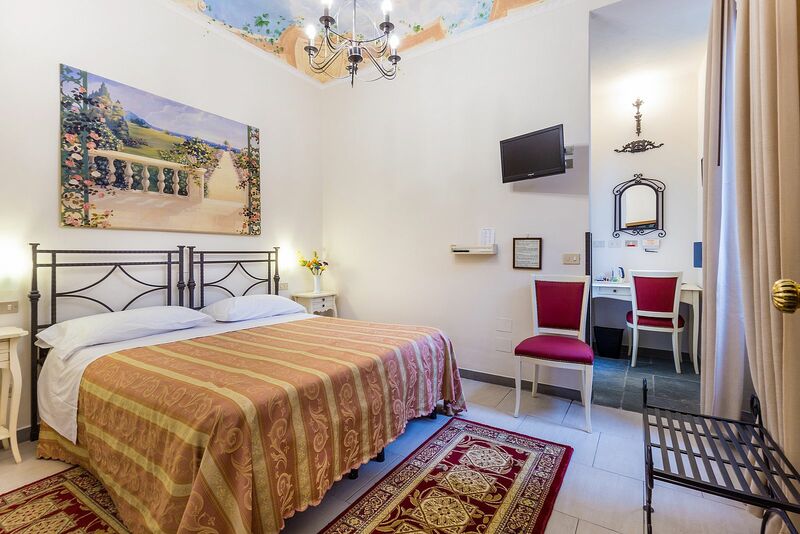 Hotel Collodi Florence Photo Gallery • Book Now your room at Hotel Collodi! All our 12 rooms are unique and special with distinctive layouts and comfortable atmosphere where you can feel at home. 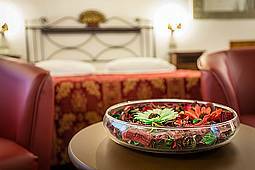 Our rooms are non smoking, furnished with a classic and elegant style and are equipped with all comforts. 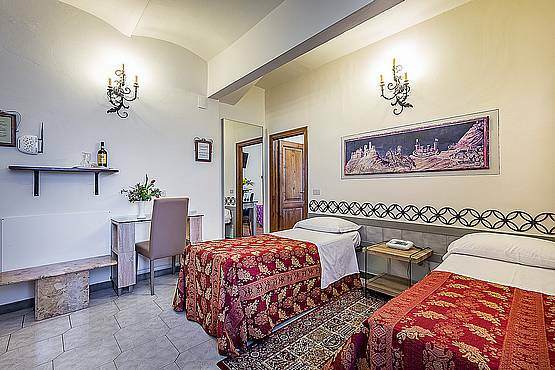 In the double, triple and quadruple rooms children younger than 2 years old can stay for free, provided they sleep in the parent's bed. 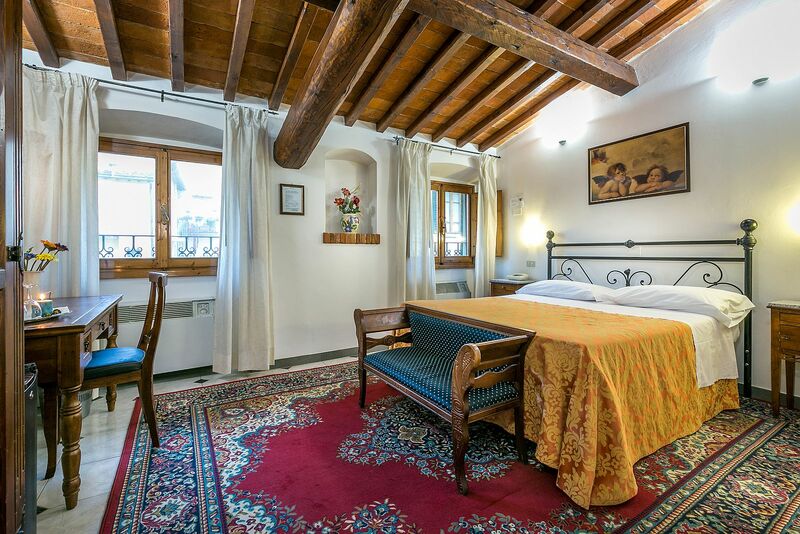 Upon request it is possible to add a cot in the room for children under the age of 3 years. 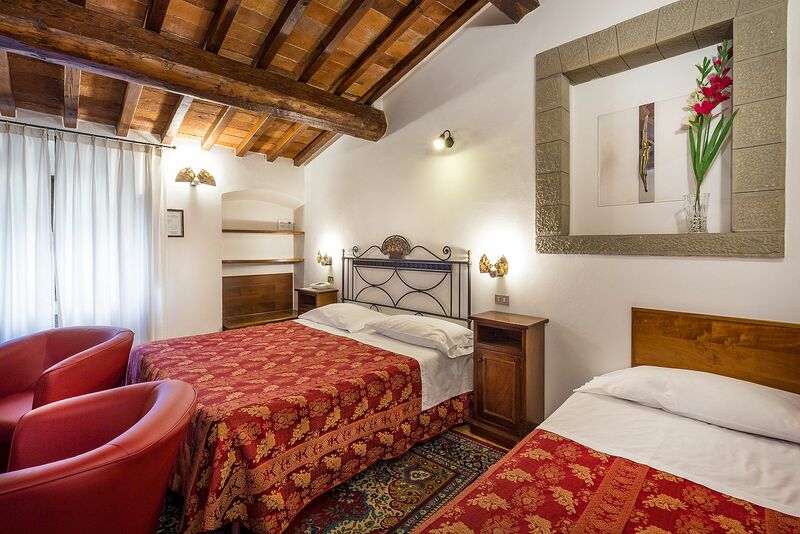 The availability of the baby cot subject to confirmation by the reception and the supplement is 15.00 Euro per night. 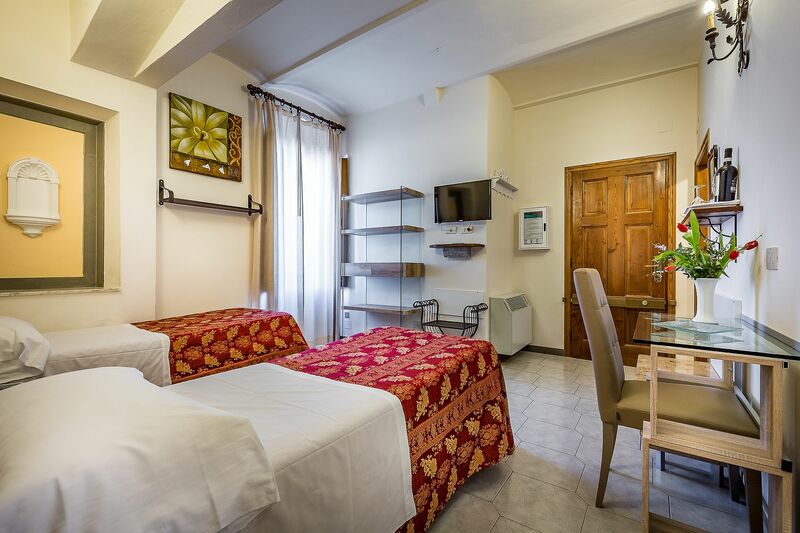 A maximum number of cots is 1 per room. 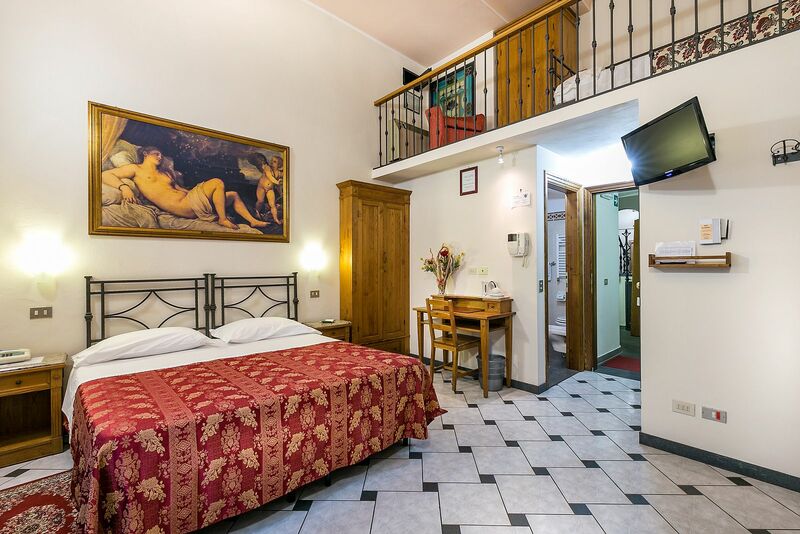 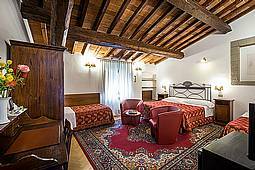 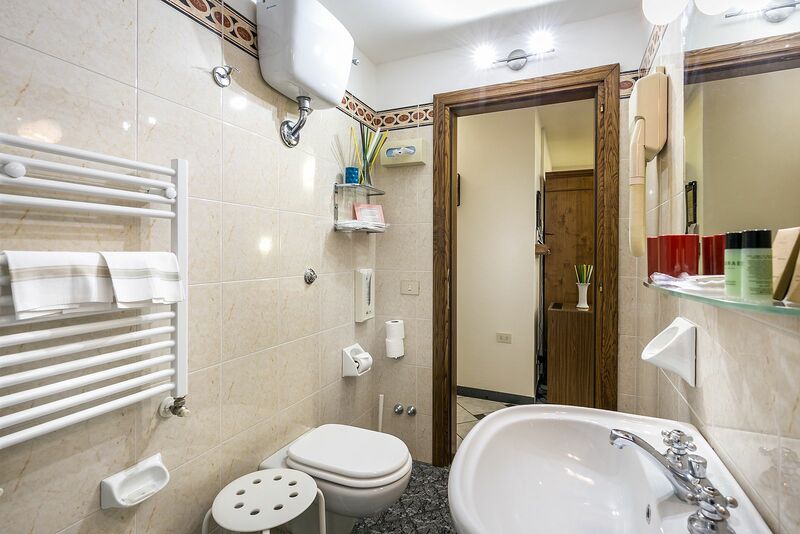 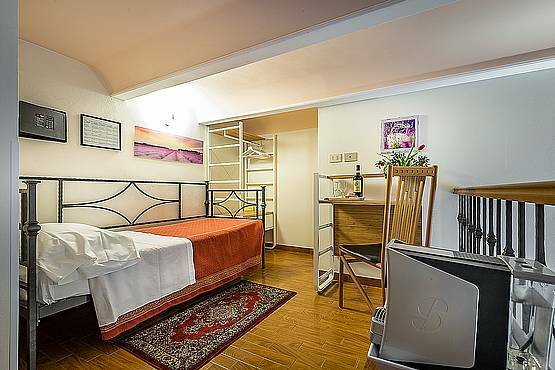 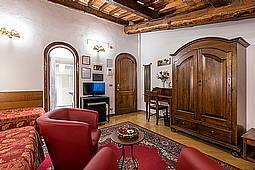 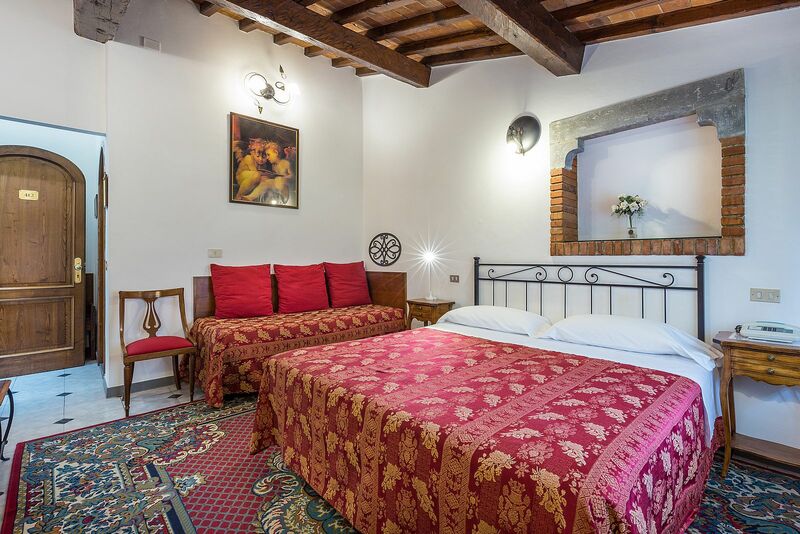 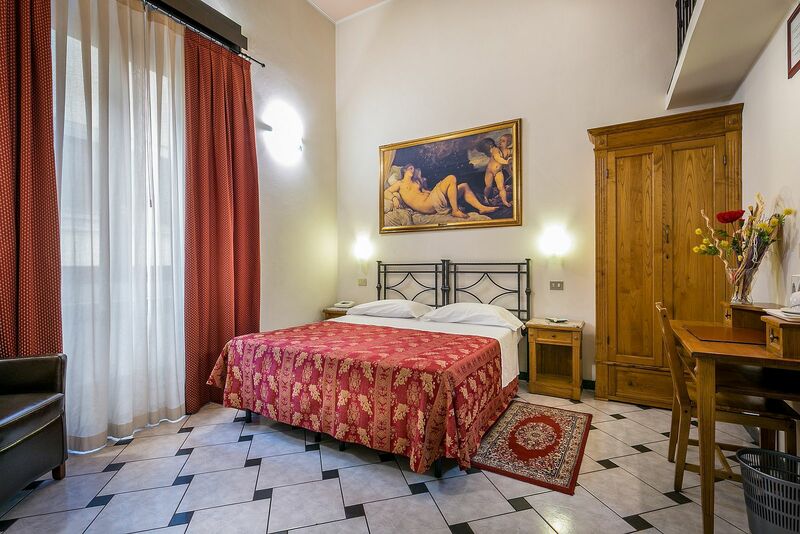 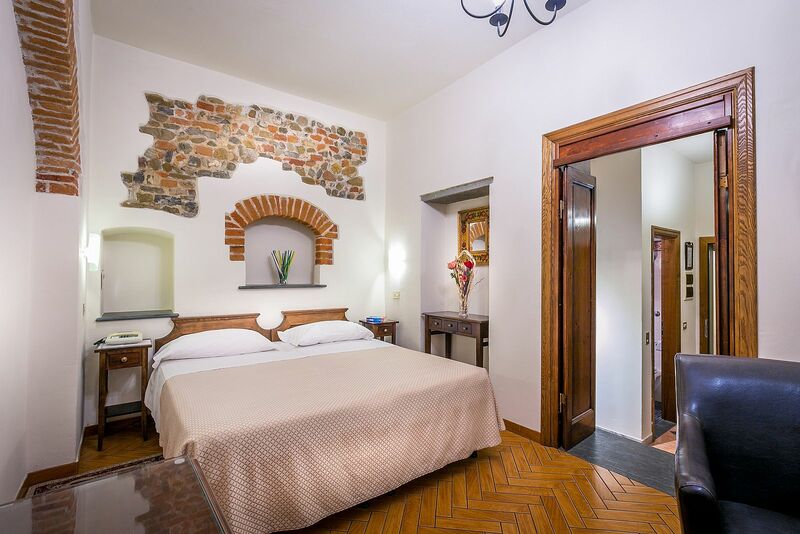 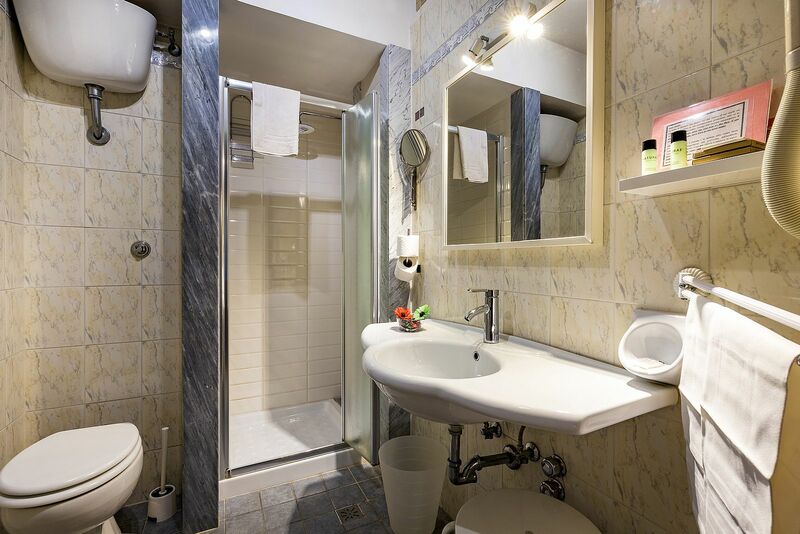 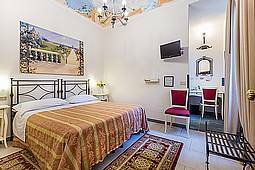 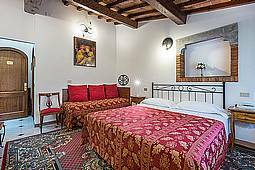 Quaint, full of light with traditional details and are equipped with all comforts that you need to let you spend a relaxing stay discovering Florence. On request: 1 Double Bed or 2 Single Beds. Spacious and comfortable are the ideal accommodation for families and friends who travel together. 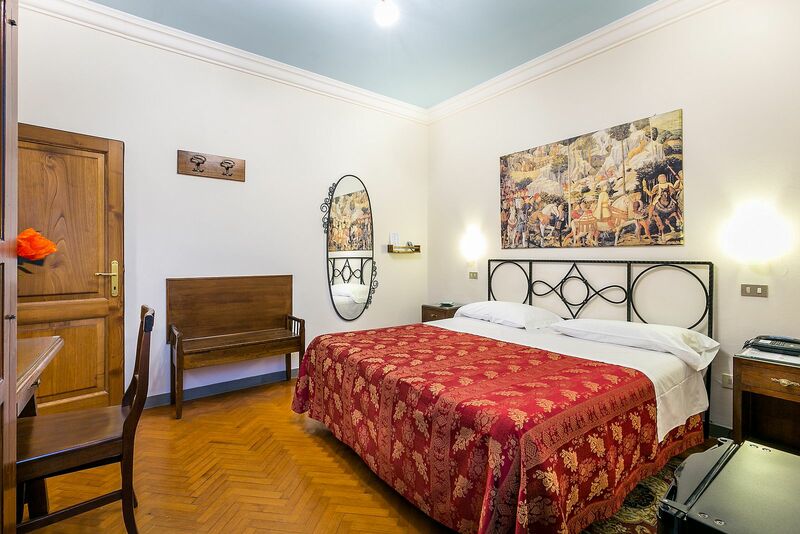 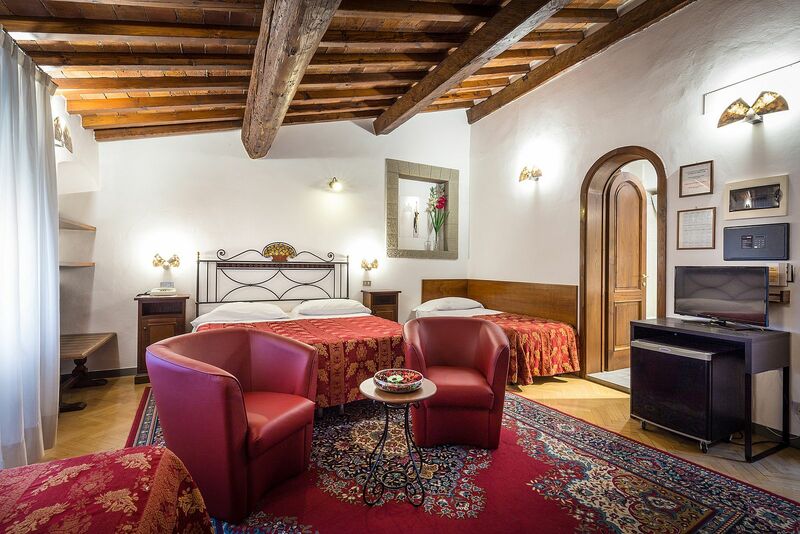 Large size, Brightness and subtle particularities with wrought iron beds and the Classic Tuscan Elements will make you share emotions and special moments with loved ones guaranteeing you a special stay. 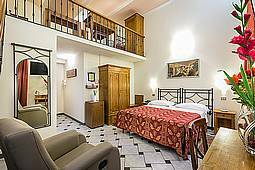 On request: 1 Double Bed and 2 Single Beds or 4 Single Beds. 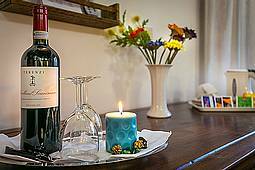 Special Occasions, Honeymoon or Romantic Getaway? Our Junior Suite will be the perfect choice that will make your stay the most romantic one. Wrought iron beds, Balcony and fine details will make you feel immediately at home.